WYATT, JAMES ( 1746-1813), was the sixth son of Benjamin Wyatt of Weeford (q.v.). Very little is known of his early life, except that he spent six years in Italy, whither he appears to have gone in 1762 in company with Richard Bagot, a Staffordshire gentleman who was Secretary to the Earl of Northampton's embassy to the Venetian Republic. In Venice he became a pupil of Antonio Viscentini (d. 1782), under whom he made rapid progress as an architectural draughtsman and painter. He also spent four years in Rome, where he is said to have caused some excitement by the intrepidity with which he made measured drawings of the dome of St. Peter's, "being under the necessity of lying on his back on a ladder slung horizontally, without cradle or side-rail, over a frightful void of 300 feet". In or about 1768, Wyatt returned to England. Whether he went back to Staffordshire to assist his father in the family business or whether he began to practise on his own in London is at present unknown. But it was his selection as architect of the proposed Pantheon or "Winter Ranelagh" in Oxford Street which brought him to public notice in a way which has few parallels in English architectural history. His brother John, a surgeon, was one of the principal promoters of the scheme, and it was doubtless due to him that the designs of a young and almost unknown architect were accepted by the Committee. When the Pantheon was opened in 1772, their choice was at once endorsed by the fashionable public, and in a moment of enthusiasm Horace Walpole pronounced it to be "the most beautiful edifice in England". Externally it was unremarkable, but the basilica-like hall, with its domed ceiling, galleried aisles, and apsidal ends, was something new in assembly rooms, and brought its architect immediate celebrity. The design was exhibited at the Royal Academy, private commissions followed, and at the age of 26 Wyatt found himself a fashionable domestic architect and an A.R.A. His polished manners and polite accomplishments secured him friends as well as patrons among the great, and when it was rumoured that he was about to leave the country to become architect to the Empress Catherine, a group of English noblemen is said to have offered him a retaining fee of £1200 to remain in their service. In later years he enjoyed the favour of Queen Charlotte, for whom he carried out alterations at Frogmore, and according to Farington he "owed his situation with the King and the place of Surveyor-General of the Works to the Queen and Princess Elizabeth". It is certain that he was on excellent terms with George III, and in 1794, two years before the death of Sir William Chambers, the King was reported to have promised Wyatt the reversion of the latter's post of Surveyor-General. In about 1800, he was commissioned to carry out alterations to Windsor Castle which would probably have been much more considerable had it not been for the King's illness, and in 1802 he designed for the King the "strange castellated palace" at Kew which was remarkable for the extensive employment of cast iron in its construction. In 1776, Wyatt succeeded Henry Keene as Surveyor to Westminster Abbey, and in 1782 or 1783 he became, in addition, Surveyor of the Ordnance. The death of Sir William Chambers brought him the promised post of SurveyorGeneral and Comptroller of the Works in 1796. Wyatt was now the principal architect of the day, the recipient of more commissions than he could well fulfil. His widespread practice and the duties of his official posts left him little time to give proper attention to the individual needs of his clients. As early as 1790, when he was invited to submit designs for rebuilding St. Chad's Church at Shrewsbury, he broke his engagements with such frequency that the committee "became at length offended, and addressed themselves to Mr. George Stewart". In 1804, Jeffry Wyatt told Farington that his uncle had lost "many great commissions" by such neglect. When approached by a new client, he would at first take the keenest interest in the commission, but when the work was about to begin he would lose interest in it and "employ himself upon trifling professional matters which others could do". His conduct of official business was no better than his treatment of his private clients, and there can be no doubt that it was Wyatt's irresponsible habits which led to the reorganization of the Board of Works after his death, as a result of which the Surveyor's office was placed in the hands of a political chief assisted by three "attached architects". Wyatt was a brilliant but facile designer, whose work is not characterized by any markedly individual style. At the time he began practice the fashionable architects were the brothers Adam, whose style of interior decoration he proceeded to imitate with such success that they complained of plagiarism in the introduction to their Works in Architecture, which appeared in 1773. Many years later Wyatt himself told George III that "there had been no regular architecture since Sir William Chambers – that when he came from Italy he found the public taste corrupted by the Adams, and he was obliged to comply with it". Much of Wyatt's classical work is, in fact, in a chastened Adam manner with ornaments in Coade stone and "Etruscan" medallions executed in many cases by the painter Biagio Rebecca, who was also employed by his rivals. It was not until towards the end of his life that he and his brother Samuel (with whom must be associated their nephew Lewis) developed the severe and fastidious style of domestic architecture which is characteristic of the Wyatt manner at its best. (1) But among Wyatt's earlier works there are several (e.g. the Christ Church gateway and the mausoleum at Cobham) which show a familiarity with Chambers Treatise on the Decorative Part of Civil Architecture, and so permit the belief that if his artistic integrity had been greater Wyatt might have continued the Chambers tradition instead of falling in with the "corrupt taste" of the brothers Adam. Had he been given the opportunity of designing some great public building, it is possible that he would have shown himself a true disciple of Chambers; (2) but his career as a government architect coincided with the Napoleonic wars, and his premature death deprived him of participation in the metropolitan improvements of the reign of George IV. Meanwhile, Wyatt's reputation as a rival to Robert Adam had been eclipsed by his celebrity as a Gothic architect. Every Georgian architect was called upon from time to time to produce designs in the medieval style, and Wyatt was by no means the first in the field. But whereas his predecessors had merely Gothicized their elevations by the addition of battlements and pointed windows, Wyatt went further and exploited to the full the picturesque qualities of medieval architecture by irregular grouping and the addition of towers and spires to his silhouettes. Never, indeed, have the romantic possibilities of Gothic architecture been more strikingly demonstrated than they were by Wyatt at Fonthill Abbey and Ashridge Park; and although crude in scale and often unscholarly in detail, these houses are among the landmarks of the Gothic revival in England. In his lifetime Wyatt enjoyed the reputation of having "revived in this country the long forgotten beauties of Gothic architecture", but the real importance of his Gothic work lay in the manner in which it bridged the gap between the rococo Gothic of the mid-eighteenth century and the serious medievalism of the early nineteenth. Of his cathedral restorations, inspired as they were by the mistaken idea that a medieval church ought to be homogeneous in style and unencumbered by screens, monuments, and other obtrusive relics of the past, it can only be said that the Chapters who employed him were no more enlightened than their architect, and that at Westminster Abbey at least he accomplished an urgent work of repair in an unexceptionable manner. His activities at Salisbury, Durham, Hereford, and Lichfield were bitterly criticized by John Carter in his "Pursuits of Architectural Innovation", and it was due in large measure to Carter's persistent denunciation that, in 1796, Wyatt failed to secure election as a Fellow of the Society of Antiquaries. In the following year, however, he was permitted to add F.S.A. to his name by a majority of one hundred and twenty-three votes. Wyatt was elected R.A. in 1785, and took an active part in the politics of the Academy. In 1803 he was one of the members of the Council which attempted to assert its independence of the General Assembly of Academicians, and when the resultant dissensions led West to resign the Presidency in the following year, it was Wyatt who was elected to take his place. But his election was never formally approved by the King, and in the following year he appears to have acquiesced in West's resumption of office. 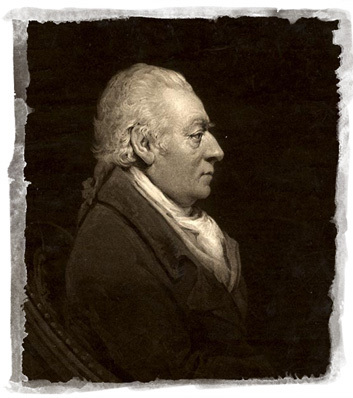 Wyatt was one of the founders of the Architects' Club in 1791, and sometimes presided at its meetings at the Thatched House Tavern. He died on September 4, 1813, as the result of an accident to the carriage in which he was travelling over the Marlborough Downs with his friend and employer, Christopher Codrington of Dodington Park, and was buried in Westminster Abbey. He left a widow and four sons, of whom the eldest, Benjamin Dean, and the youngest, Philip, are noticed separately. Matthew Cotes ( 1777-1862), the second son, became a well-known sculptor, whose best work is the bronze statue of George III in Trafalgar Square. Charles, the third, was for a time in the service of the East India Company at Calcutta, but returned to England in 1801. Nothing is known of his later career. The best portrait of Wyatt is that in the possession of Messrs. W. & A. Gilbey, Ltd. There is another in the R.I.B.A. Library, and a pencil portrait by Dance is in the Library of the Royal Academy. The National Portrait Gallery has a bronze bust by Rossi. Curiously few original drawings by Wyatt are known to be in existence: but in the R.I.B.A. Library there are designs by him for Badger Hall, Fonthill Abbey, Downing College, and Ashridge Park. An album of Wyatt's sketches, in the possession of the Vicomte de Noailles, contains designs for chandeliers, torchères, vases, etc., a plan for Lord Courtown, etc. ( C. Life, Dec. 5, 1947, and July 2, 1948). Those for Slane Castle are in the Murray Collection of the National Library of Ireland. 1 For an admirable analysis of the mature "Wyatt manner", see Arthur Oswald article on "Rudding Hall, Yorks"., in C. Life, Feb. 4, 1949. The architect of Rudding itself is unknown. 2 The influence of Somerset House is, in fact, apparent in Wyatt's rejected design for Downing College, Cambridge, of c. 1800 (see Gavin Walkley, "A Recently Found James Wyatt Design", R.I.B.A. Jnl., Sept. 12, and Oct. 17, 1938).